With 30lbs of dry ice and couple bottles of rubbing alcohol I was able to out 99% of the sound deadening from the 86. The dry ice and alcohol makes some kind of comical reaction which basically freezes the sound deadening. This only takes about 10mins, you’ll know when the sound stops popping. Then with a scrapper and hammer they break away in big chunks. 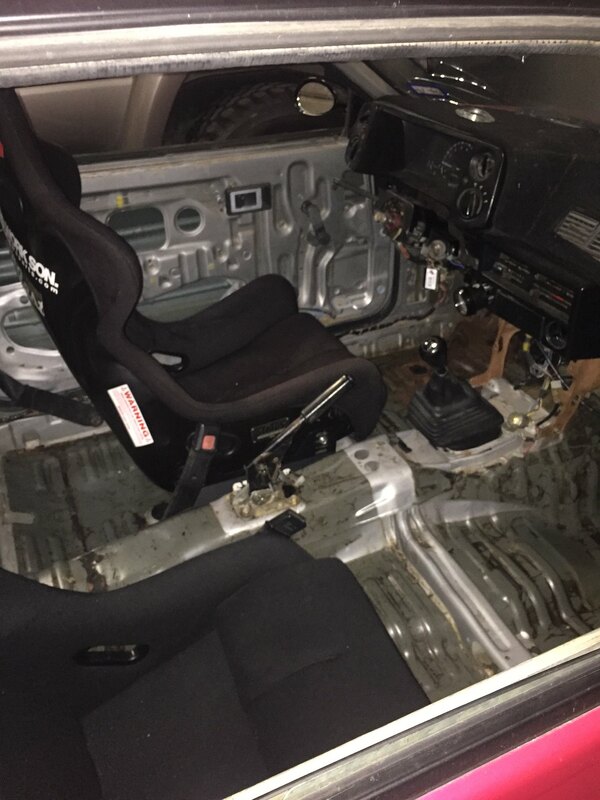 I wasn’t able to remove all of the sound deadening around the pedals and front footwell because of the angle and tight space. I’m focusing on the intior part of the track build then working my out. Still some more work but she is getting there.